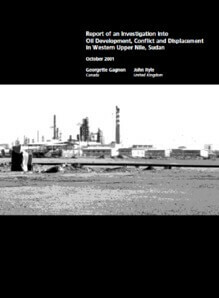 This report documents and places into context an intensification of armed attacks on civilians in key areas of Sudan’s contested oil region in Western Upper Nile during 2000 and 2001. The attacks were carried out by Government of Sudan (GoS) forces and local pro-government militias and by rebel forces of, or aligned with, the Sudan Peoples’ Liberation Army (SPLA) and the Sudan Peoples’ Democratic Front/Defence Force (SPDF). A significant new development in the period 2000-2001 is a higher number of direct attacks on civilians by the armed forces of the Government of Sudan. The report concentrates on the operational area of the Greater Nile Petroleum Operating Company (GNPOC), the oil consortium that comprises the China National Petroleum Corporation (CNPC), Petronas Carigali (the national petroleum company of Malaysia, or its subsidiary Petronas Carigali Overseas Sudan Berhad), Sudapet (the Sudan state petroleum company) and Canada’s Talisman Energy (Talisman). As noted in the preliminary report of this mission, the investigators found that there was an increase in the number of recorded helicopter gunship attacks on settlements in or near this area. Some of these gunships have operated from facilities built, maintained and used by the oil consortium. The attacks are part of what appears to be a renewed Government of Sudan strategy to displace indigenous non-Arab inhabitants from specific rural areas of the oil region in order to clear and secure territory for oil development. Control of the oil region of Sudan is contested between the government and several rival non-government groups. 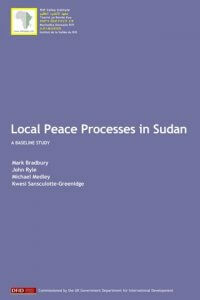 Most of the rural areas in the GNPOC concession have been outside the control of the Government of Sudan since the start of the current civil war in 1983. These areas have been intermittently controlled and administered by two rebel movements, the Sudan Peoples’ Liberation Movement/Army (SPLM/A) (under the overall command of Dr. John Garang de Mabior) and the former South Sudan Independence Movement/Army—SSIM/A—(under Dr Riek Machar Teny). Today, control of the non-government areas of the concession is divided between the SPLM/A and commanders aligned with the Sudan Peoples’ Democratic Front/Defence Force (SPDF), a successor movement to the SSIM/A. For a short period in the late 1990s, a peace agreement between the Government of Sudan and Riek Machar’s SSIM/A allowed for the extension of government authority into some of the rural areas of the concession, enabling expansion of oil development and completion of the pipeline from the oil fields north to Port Sudan. SSIA forces had joined the government and were formed into the South Sudan Defence Force (SSDF). 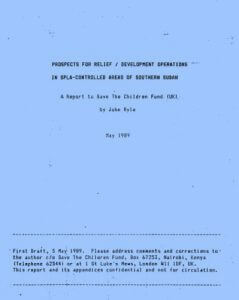 The collapse of this peace agreement in 2000, the growing conflict between Government of Sudan forces and the former SSDF/SSIA forces, now regrouped as the Sudan Peoples’ Defence Forces (SPDF), and the increased presence of the SPLA in the area have apparently prompted a modification of the government’s military strategy. The new strategy in Western Upper Nile, this report suggests, is both more violent and more territorially focused, involving coordinated attacks on civilian settlements in which aerial bombardment and raids by helicopter gunships are followed by ground attacks from government-backed militias and government troops. These ground forces burn villages and crops, loot livestock and kill and abduct people – mainly women and children. The increased intensity of the attacks, and the increased importance of oil in the war economy, has provoked attacks on oil installations by anti-government forces and further intensification of military activity on all sides. Pro-government and anti-government forces in conflict with one another have burned and looted villages in all areas of Western Upper Nile. The present investigation concludes that the incidence of military usage has been considerably higher and that it has continued. The pattern of military usage is one of intentional targeting by gunships of settlements – without regard to whether they are occupied by civilians or combatants – in non-government controlled areas in and around the concession. The Government of Sudan is the only warring party with access to combat aircraft, ie helicopter gunships and aircraft that can be used for aerial bombardment. The investigation has determined that at least two of the government’s helicopter gunships have been based at the oil facilities in Heglig. Defecting soldiers from the Government of Sudan army base in Heglig and civilian victims of gunship attacks testified to the investigators that gunships had flown regular sorties from Heglig to attack civilian settlements. 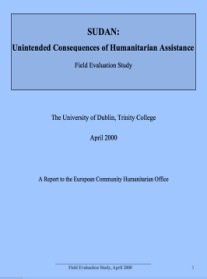 The incidence of other human rights violations in and around the concession area escalated in 2000 and early 2001. 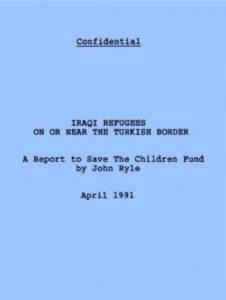 The investigation documents a range of abuses connected with forced displacement of the inhabitants of the area. Defecting soldiers from the Government of Sudan’s military base at Heglig testified that they had been ordered to participate in ground attacks on non-government controlled settlements around Pariang (a government-controlled garrison town in the concession). This was part of an attempt to force the inhabitants out of the area. The soldiers said they had been instructed to kill civilians and any persons believed not to be loyal to the government. This, they stated, was for the purpose of securing the oil fields for development. This forced displacement and concomitant loss of livestock is severely disruptive to the economy of Western Upper Nile. The inhabitants of the area, whose mode of life is based on agro-pastoralism and fishing, depend on access to a range of natural resources in order to survive: dry season and wet season grazing grounds, dry season fishing areas, and wet season agricultural areas that are close to permanent villages. Freedom to move among these areas is essential to the agro-pastoral economy. 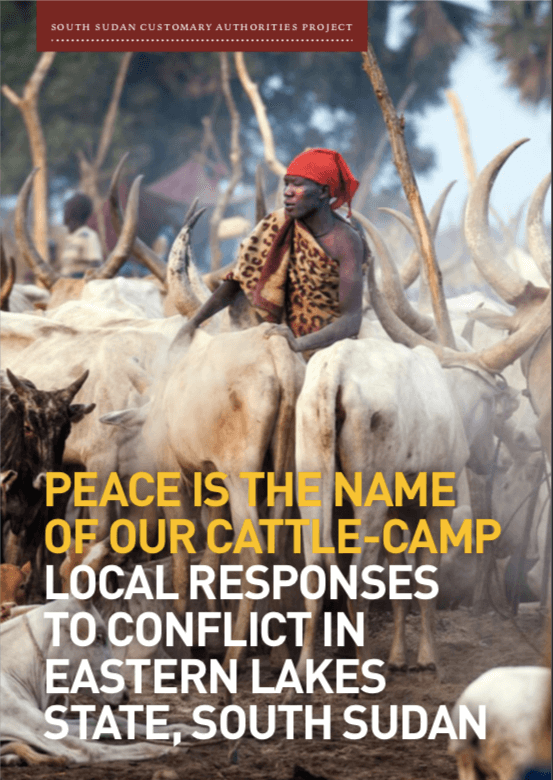 Attacks on rural communities have a cumulative effect: repeated incidents of destruction of property, looting of livestock and loss of grain reserves make survival in the conflict-affected areas more and more difficult, eroding survival strategies to the point where displacement is the only option that remains. Forced displacement from Western Upper Nile connected to oil development continued unabated in 2000 and early 2001. This continuing process of displacement has repeatedly interrupted the agricultural cycle and reduced livestock numbers, bringing the inhabitants of some areas close to destitution. Conflict between the two rebel movements operating in Western Upper Nile and between those rebel movements and government-backed militias has also continued to be a significant cause of violent disruption of the lives of the civilian inhabitants of the area. But direct military action by government forces—in conjunction with pro-government militias – has now become an equally important factor. In spite of claims to the contrary in oil company reports, this investigation, while unable to gain access to government-controlled areas of oil development and following numerous enquiries, is not aware of any evidence that significant economic or other benefits from oil development are accruing to indigenous communities in Western Upper Nile. There is no independent verification of claims that the Government of Sudan is using oil revenues to assist the civilian population in Talisman’s concession (or in Southern Sudan in general). The two western oil companies operating in the area, Talisman and Lundin Oil of Sweden, have announced that they are sponsoring humanitarian assistance projects in areas around government towns and outposts. In the case of the government itself, there are no reports of government-funded development projects in Western Upper Nile. Oil revenues do correlate, however, with visible increases in government military expenditure. For example, the Government of Sudan recently established, with Chinese assistance, three new factories for the manufacture of arms and ammunition near Khartoum. The contribution of oil revenues to the establishment of an arms manufacturing capability has been acknowledged in statements by several Government of Sudan officials (although this has been denied by other government spokesmen). On April 30, 1999, Agence France- Presse quoted a statement in the official newspaper Akhbar al Youm by Hassan al Turabi, a then high-ranking representative in the ruling National Congress, that the government would use earnings on oil exports to finance weapons factories. According to Hassan al Turabi: “We are currently building several factories to produce our needs in weapons, and we plan to manufacture tanks and missiles to defend ourselves against conspirators.” (“Sudan to Manufacture Tanks, Missiles: Assembly Speaker,” Agence France Press, Khartoum, April 30, 1999). Government ministers including Hassan al Turabi then claimed that the oil revenue would be used for construction and development. (“Dr. El-Turabi: Oil for War Is a Ridiculous Disinformation,” Al Rayaam, Khartoum, May 6, 1999). But on July 1, 2000, the Al-Shar Al-Syasi newspaper quoted army spokesman General Mohamed Osman Yassin saying that Sudan “will this year reach self-sufficiency in light, medium and heavy weapons from its local production,” thanks to its “unprecedented economic boom, particularly in the field of oil exploration and exportation,” (“Sudan to Achieve Self-sufficiency in Weapons: Spokesman”, Agence France Press, Khartoum, July 1, 2000). The new, intensified and more geographically focused nature of government military strategy is also, as argued in this report, clearly linked to oil development. 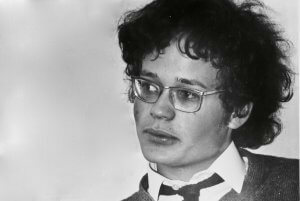 On the government side the pursuit of the war and oil development has involved the forcible recruitment of young teenagers into the armed forces. The investigation found that Southern Sudanese in their early teens have been conscripted into the armed forces of the Government of Sudan and trained at a military camp near Heglig, and that they are currently providing security in areas of oil development. 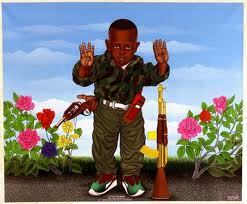 (The use of child soldiers elsewhere in Sudan – by all warring parties – has been documented by several organizations, eg at www.child-soldiers.org). The SPLA has recently renounced the practice. 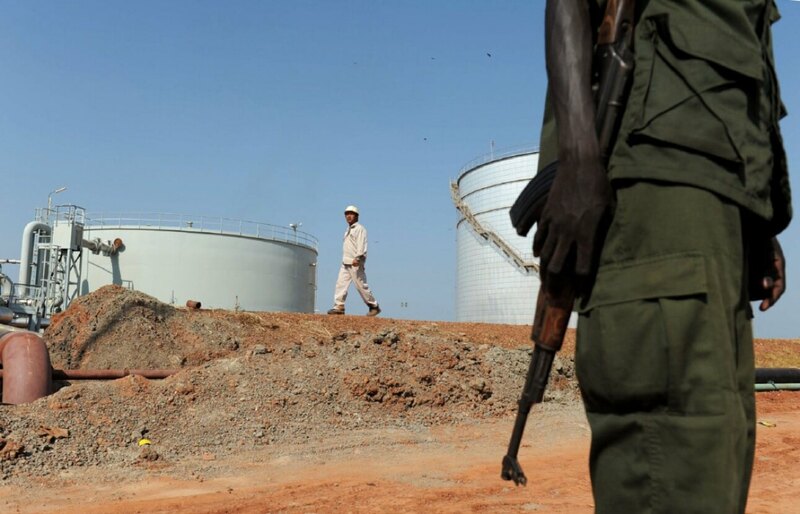 The investigation finds that oil development in Upper Nile has exacerbated civil conflict and assisted the war aims of the Government of Sudan, facilitating violations of human rights by government forces and government-backed forces. Talisman’s claim that it serves as a positive influence on the Government of Sudan and its policies is not supported by the findings of the investigation; the evidence suggests that the company has been unable to achieve such constructive engagement. Similarly, Talisman’s argument that oil-company sponsored relief and development projects benefit people in the concession must be assessed in the context of these same companies’ involvement in the government’s war effort, even if unknowing and unacknowledged. This is particularly important in that those relief projects address social and economic problems that are themselves largely the result of government military policy in the oil fields. The report concludes that there is, among other urgent issues, a pressing need to establish long-term, international, independent, large-scale, expert, on-the-ground, field-based monitoring of the effects of the war and oil development. Accurate, cross-checked information is hard to come by. One-off research projects such as the present report are of limited value; a long-term, continuing programme is required. Such a programme would monitor the response from non-government forces and violations of human rights in the conflict on all sides. It would provide a real-time response to incidents of war and offer the possibility of preventing and/or providing early warning of abuses. To be effective, the monitors would need to have free access to and freedom of movement within government-controlled and non-government controlled areas. In the present circumstances, oil development and the associated presence of foreign oil companies in Sudan is damaging to the people of the oil areas. For their part, the companies effectively assist the Government of Sudan war effort, thus exacerbating the suffering of the inhabitants of the oil area and making the prospect of peace more unlikely. Only a radical change in their relation to the government could provide any justification for the oil companies’ continued presence in Sudan. As the major providers of infrastructure and – by their own account – social services in Western Upper Nile, the onus is on oil companies to demonstrate that they are behaving as responsible corporate citizens rather than as mercenary commercial organizations. This applies particularly to companies that espouse human rights and good corporate practice, and particularly Talisman, which has called attention to its adoption of the International Code of Ethics for Canadian Business. Support for a monitoring regime as outlined above should be one of the preconditions for the continued involvement of foreign commercial enterprises in Western Upper Nile. SIR – Jim Buckee (Letters, May 19th) asserts that there is no fighting or displacement of civilians in the Sudan oil-concession area where his company, Talisman Energy, operates. This is untrue. In April, I visited Talisman’s concession area in Western Upper Nile on behalf of a number of Canadian and British non-governmental organisations. I travelled to the large part of the area that lies outside government control. Neither Talisman nor Sudan’s government co-operated in this investigation. I heard numerous eye-witness accounts of attacks on civilian settlements by government bombers and helicopter gunships, government troops and pro-government militias. Several of the gunships operate from oil facilities at Heglig, built and maintained by the consortium of which Talisman is part. This was acknowledged recently in Talisman’s own compliance report, a fact that seems to have slipped Mr Buckee’s mind. Mr Buckee claims that there has been a population increase in Talisman’s area of operation but the expansion is not a sign of prosperity. It is the opposite: further evidence of the violent displacement of civilians from rural areas.